The enterprising robot uncovered signs that warm, liquid water had altered the planet's ancient rocks – evidence that the conditions for life once existed on Mars. Rolling up to the crater’s edge, the Opportunity rover took in a landscape unlike anything any Earthling had ever seen. A vast, meteorite-blasted expanse of volcanic rock and iron oxide extended for 15 miles, ringed by rugged mountains under a dusky orange sky. In months to come, the enterprising robot would uncover signs that warm, liquid water had altered these ancient rocks – evidence that the conditions for life once existed on Mars. Opportunity’s mission was planned to last just 90 days, but it worked for 5,000 Martian “sols” (which are about 39 minutes longer than an Earth day) and traversed more than 28 treacherous miles – two records for NASA. 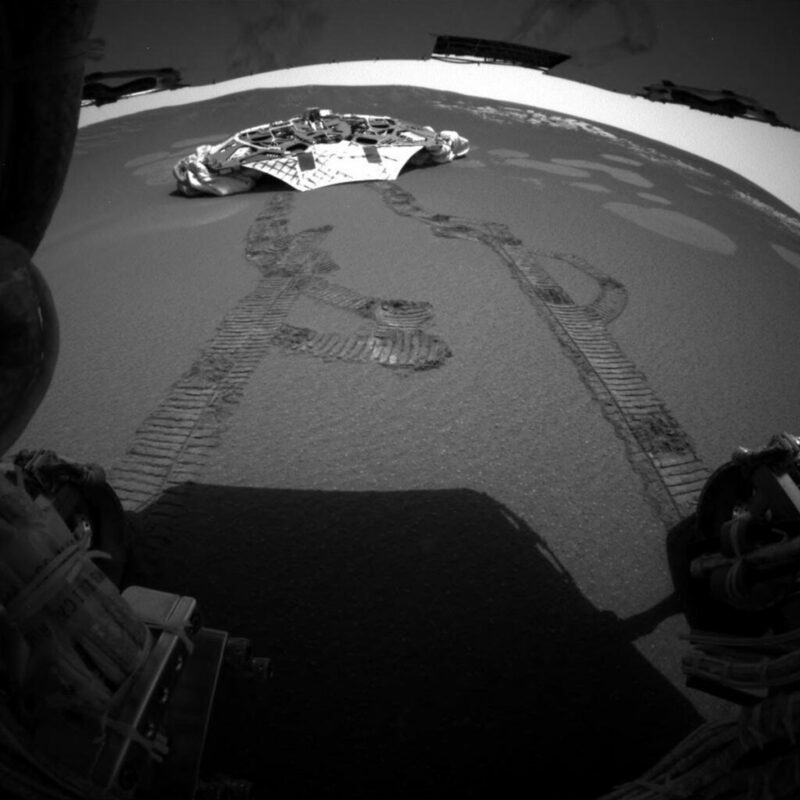 This photo released Feb. 5, 2004, made by one of the rear hazard-avoidance cameras on NASA’s Opportunity rover, shows Opportunity’s landing platform, with freshly made tracks leading away from it. 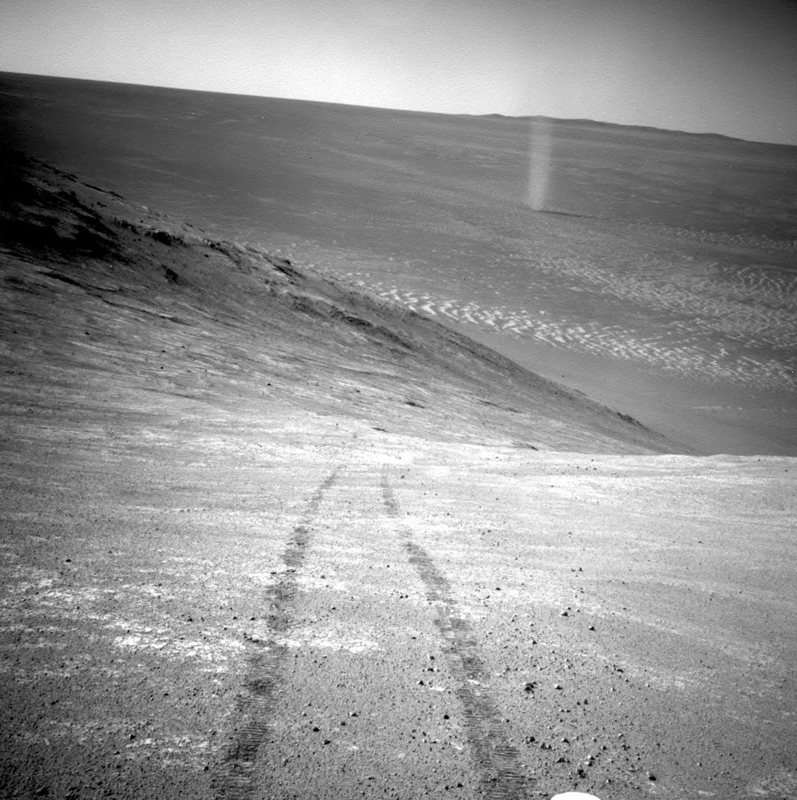 Opportunity rolled about 11 feet that day, the first day it had moved since it left the lander five days earlier. Engineers commanded Opportunity to turn slightly during the drive, to test how it steers while rolling through the martian soil. Before 2000, when NASA announced its ambitious plan for the Mars Exploration Rover (MER) mission, just three spacecraft had ever successfully operated on the Red Planet. Of these, only one – the tiny Sojourner rover that accompanied the 1997 Pathfinder mission – moved around on the surface. 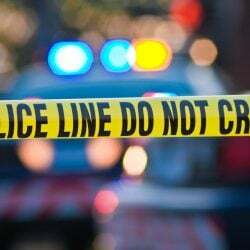 It never traveled more than 100 meters and lasted less than thee months. 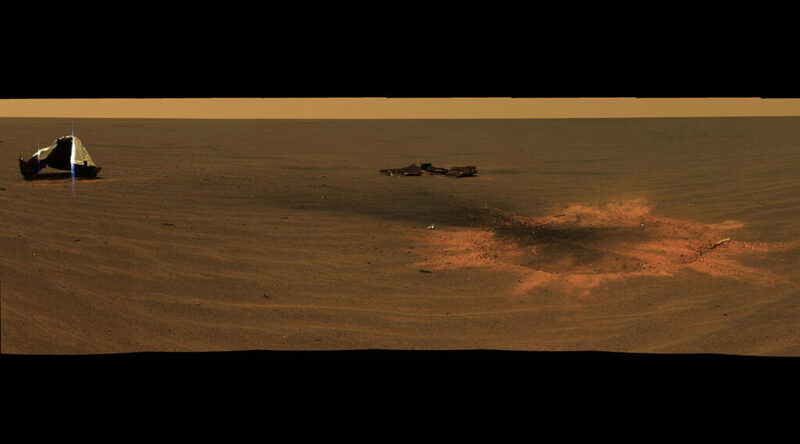 This March 31, 2016, photo shows a dust devil in a valley on Mars, seen by the Opportunity rover perched on a ridge. The view looks back at the rover’s tracks leading up the north-facing slope of Knudsen Ridge, which forms part of the southern edge of Marathon Valley. To the East, he watched Mars – just a little red dot – rise over the glittering black Atlantic. It was hard to imagine how the rovers would ever get there, Squyres said. Mars seemed so forbidding, so alien, so impossibly far away. Opportunity’s heat shield impact site is seen on Mars in an approximately true-color mosaic of panoramic camera images taken Dec. 28, 2004. On the left, the main heat shield piece is inverted and its metallic insulation layer glints in the sunlight. 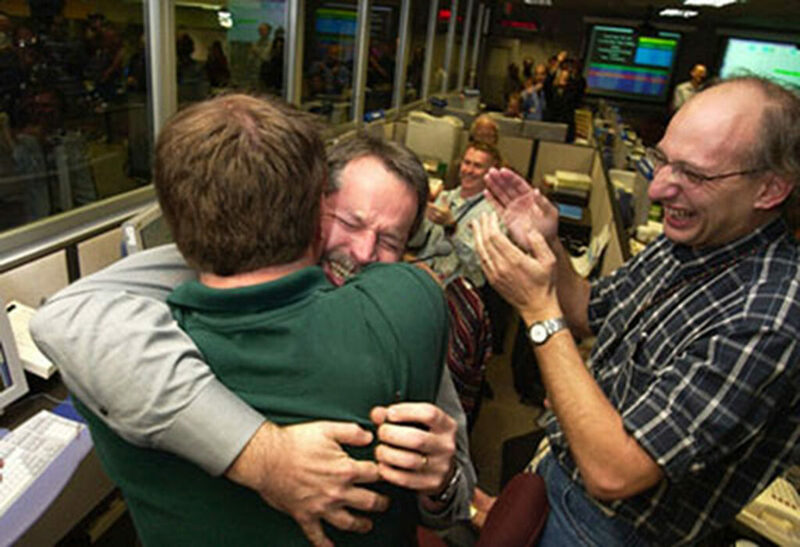 Entry, descent and landing manager Rob Manning, facing the camera, hugs Richard Cook, the Mars Exploration Rover project manager at the time after Opportunity’s successful landing on Mars. To their right, Miguel San Martin, a member of the attitude control systems team, cheers the victory. Opportunity’s first great achievement came within two months of its arrival on the Red Planet. The layered outcrop on which the rover had landed – the one that made the scientists surrounding Fraeman jump for joy – contained evidence that water once flowed through the rocks: crystals, sulfur compounds, little spherical objects that scientists likened to blueberries, and rock patterns that looked like sediments laid down by a flowing current. 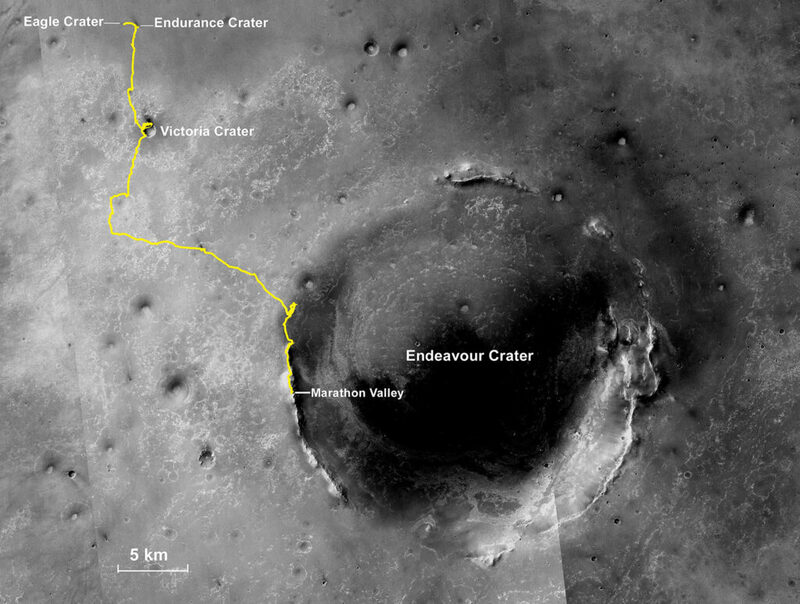 This 2015 map shows Opportunity’s route across Mars. 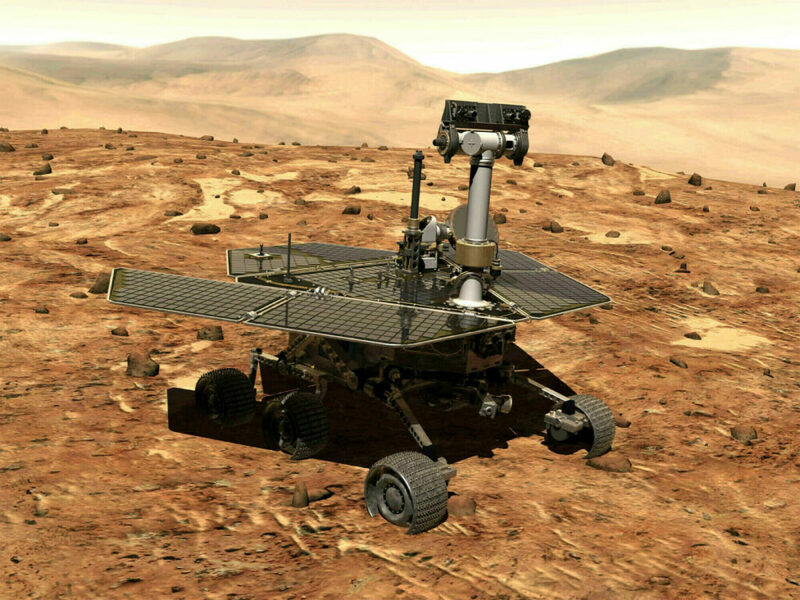 The rover landed in Eagle Crater in 2004 and was exploring Endeavour Crater when NASA lost contact last summer. She calls Spirit and Opportunity “the first Martians” – the first things to live and work longer on another planet than they ever did on Earth.